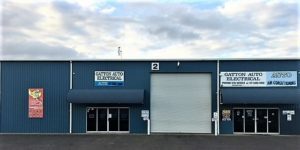 Our local team are your Gatton battery experts and provide you with the very best advice on the complete Marshall Battery range of products and related battery accessories. Marshall Batteries Gatton is your one stop battery shop. Car batteries, 4WD batteries and truck batteries, we are also specialise in boat & Golf Batteries, Dual Battery Set Ups, Solar Set Ups, Caravan & RV, Trailer or any Camping Power plus jetski & motorcycle batteries along with all related battery accessories. We can recommend and install for any marine battery application. Our huge range includes motorcycle batteries, mower batteries, and battery products as well as a massive range of farming and tractor batteries for Agricultural purposes. If you need a solar or industrial deep cycle battery, 4WD battery, Quadbike battery or a forklift battery in the Lockyer region, we can assist you with the best product for your needs. Our range of batteries includes sealed maintenance free, low maintenance, hybrid batteries, enhanced flooded batteries, absorbed glass matt AGM batteries, maintainable batteries, ISS, spill proof batteries, deep cycle batteries, gel batteries, lithium-ion batteries, valve regulated lead acid batteries and cylindrical wound AGM batteries. Designed to suit all applications for passenger vehicle batteries, stop start batteries, SUV and 4WD batteries, light commercial batteries, heavy commercial batteries, plant and equipment batteries, motorhome batteries, caravan Batteries, camper trailer batteries, golf cart batteries, marine batteries, watercraft batteries, solar batteries, industrial batteries, sweeper batteries, NBN batteries, electric toy batteries, scissor lift batteries, forklift batteries, UPS system batteries, domestic batteries and communication batteries. We have a mobile service roadside assistance, batteries delivered and expertly fitted roadside at home, onsite, work or at the farm, to get you out of trouble day or night. Our batteries are specified to car manufacture requirements or greater and provide specialist fitment of all automotive and marine batteries. We can meet your battery budget no matter what by offering a good battery, to suit your budget. Marshall Batteries services the wider Lockyer region so if you need a battery in Churchable, Plainland, Atkinson Dam, Claredon, Mount Tarampa, Tarampa, Lockyer Waters, Lowood, Morton Vale, Lockrose, Adare, Glenore Grove, Regency Downs, Kensington Grove, Minden, Marburg, Haigslea, Hatton Vale, Placid Hills, Gatton, Lawes, Forest Hill, Plainland, Lower Tenthill, Tallegalla, Mount Marrow, Laidley North, Laidley Heights, Laidley, Ashwell, Rosewood, Grandchester, Rockside, Mount Berryman, Mulgowie, Lower Mt Walker, Coominya, Grantham and Esk, we can assist you. We are a full battery specialist store with battery management systems, battery cables, battery terminals, tie-downs, battery boxes, fuses, car and trailer accessories such as car fridges, trailer locks and security products, Andersen plugs and all with specialist, local know how. We have everything you need in battery accessories, Air Conditioning, Auto Electrical, starter motors, Computer Diagnostics, battery chargers, invertors, dual battery kits and battery trays, 12V battery accessories and a full range of other batteries. Brands include Thunder, Redarc, OEX, Great Whites, Projector, Axis, Ctek, Uniden and the legendary Marshall Battery range. Marshall Batteries Gatton/ Plainland is also a Battery Collection centre. Bring your used lead acid battery to this location for safe and responsible recycling. Environmental stewardship and recycling is a major focus in all Marshall operations. Marshall Batteries manufactures new batteries which are 98% recyclable and 85% comprised of previously recycled materials, so help us support our environment and re-cycle Used Lead Acid Batteries (ULAB) wherever you see Marshall Batteries dealers, right across the country. 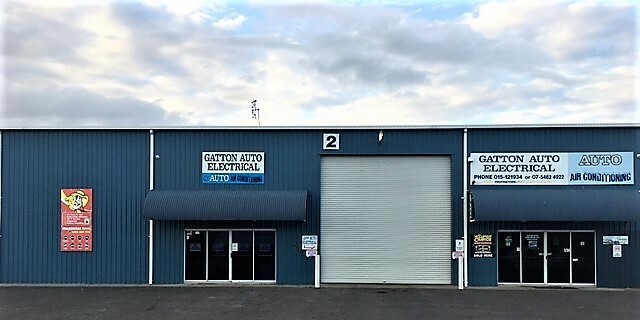 Gatton Auto Electrical with Marshall Batteries, provides a free extended battery warranty which covers you right across Australia, roadside day or night, for peace of mind.